This is one of our favorites! In the spring of 2015 we helped this Seller update their dated 1980’s master bathroom. Both the Realtor and the Seller knew this bathroom with carpet and no door would be a huge deterrent to buyers; the Realtor estimated that an $11,000 improvement would net a $60,000 return, and they were right! 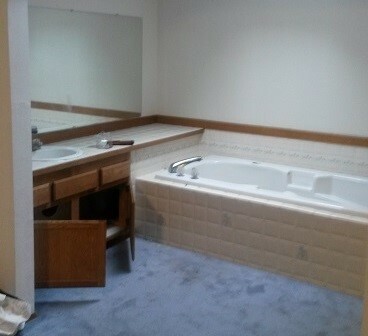 More Decor developed the design plan and found the right contractor to meet the $11,000 bathroom make-over budget. We shopped for the best deals from our suppliers, while at the same time not sacrificing style and quality. The end result was amazing! 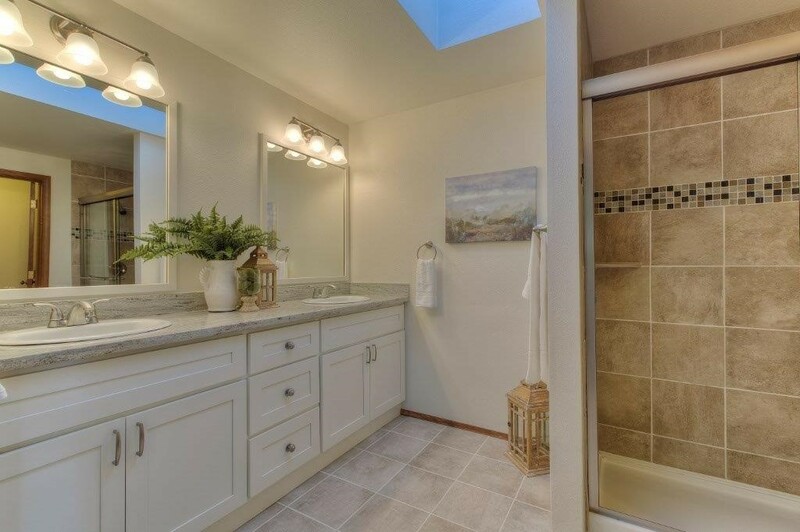 And the property appealed to what buyers were seeking in that area and price range; a luxury master suite with a large tile shower, tile floors, double sink, large vanity, and linen closet.